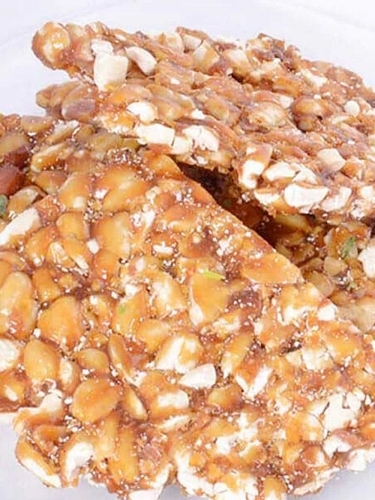 Peanut Chikki is quite well known and in great demand for its rich exotic taste. The crispiness it has makes this delectable Indian sweet even more famous. This conventional sweet is primarily savoured during winters. As the name clearly says, the basic ingredients in this are peanuts and jaggery. Jaggery makes this traditional candy even more sweet, healthy and mouth-watering of course. Peanut Chikki is an ideal replacement for chocolates as jaggery being the prime ingredient makes it even sweeter than any artificial flavouring. Moreover, it is much preferred for its crispy taste and can be savoured either alone or with any other snacks. Great flavour and rich aroma of a peanut chikki doesn’t let anyone savour just one. Apart from jaggery and peanuts, other ingredients include pistachios, cardamom, glucose and sugar. This popular Indian snack is much loved during winter months and can be reached directly at your door step. All you have to do is just pick your phone and order. 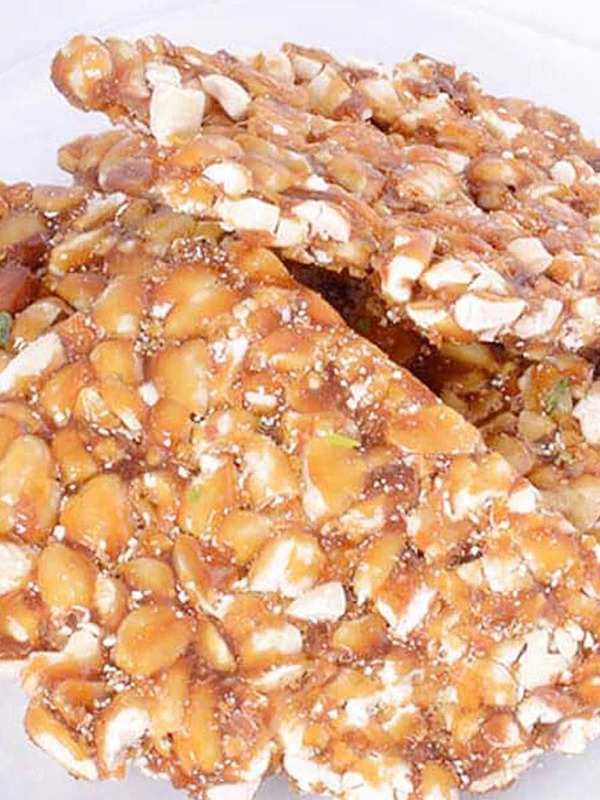 Foodfeasta source this chikki directly from the initiators, Shri Shyam Tilpatti Udyog.